Happy early Spring! This week, the Vernal Equinox is upon us in the Northern Hemisphere and what better way to celebrate than with a little spring cleaning! 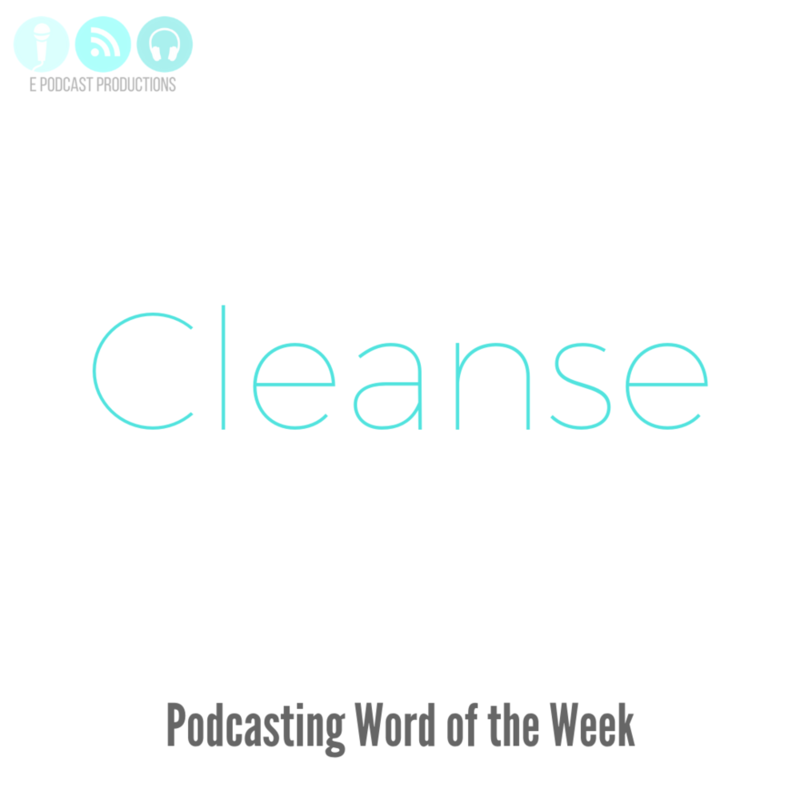 That's why this week's Podcasting Word of the Week is CLEANSE. Last week, we talked about Intuition and how the more you podcast, the more you develop your Podcast Intuition. This works hand-in-hand with “Spring Cleaning” your podcast. There will always be a good time to release that which doesn't serve you and many people use Spring Cleaning as an excuse for this. If you haven't already gotten on the Marie Kondo/KonMari Method bandwagon, no worries; here's a Podcast Cleaning crash course. Are you running yourself ragged trying to do ALL THE THINGS!? What processes that you don't like can you outsource? Are your processes and podcast notes organized in a way that makes sense to you? Do you have systems in place in case you are not able to podcast? Is there something you're doing for your podcast that brings little to no rewards? Is your raw audio as clean as it can be? Pick one thing for your podcast right now that you can make more efficient, for example bookmarking certain websites you use a lot for your show. One thing to note, though, is you may want to think long and hard about getting rid of a tool or activity that impacts a lot of other people, like listeners, even if it doesn’t “spark joy” for you. Unlike clothes or personal items, your podcast may be helping someone other than you, so be careful not to get too impulsive when it comes to tossing things. Creating a podcast that doesn’t weigh us down is a really great step to longevity of our show. When podcasting loses its fun, that’s when a lot of people throw in the towel (or throw out the towel, in the context of this week’s word). Some people lose sight of their “why” when it comes to podcasting and, instead, become bogged down by the actual process. This may also be a time you may want to take a break and come back to your show with a fresh set of eyes. This can also help you go through and eliminate the tools and processes that don’t align truly with the reason you started a podcast in the first place. So, let’s clear out the clutter and make room for podcast success, instead!